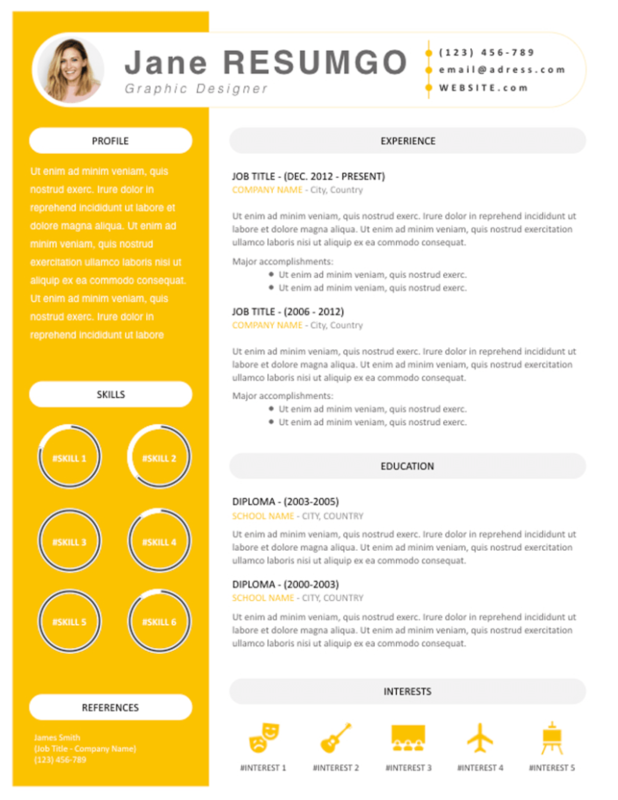 Iantha is a free bright resume template, with a yellow sidebar and stylish header. 2-column yellow structure layout on a white background. Clean and well-balanced style. The left side of the template, a full-height yellow background, will showcase your profile or summary/objectives. The skills below are presented with data-driven donut charts. The main/right part is used for your professional experience, education, and interests (icons).